The US Pacific Coast, some Atlantic Coast. Tech and Work. Computer games. Culture. Where I live now. Whatever feels like home. And a few memories of business school. Lunch at the lifestyle center. Being pensive. February after Valentine’s Day must be a slow month in restaurant land. There are restaurant deals around. There is a fancy mall near me that had what they call “restaurant week”. From Sunday February 20th through Thursday February 24th, the restaurants at this mall had three course fixed price meals for lunch and dinner, for a very reasonable price. Correction, this is not a mall, this is a “lifestyle center”. See the entry in Wikipedia – http://en.wikipedia.org/wiki/Lifestyle_center_%28retail%29. Lifestyle centers have specialty shops, cafes, upscale restaurants, fancy grocery stores, movie theaters and other forms of entertainment. 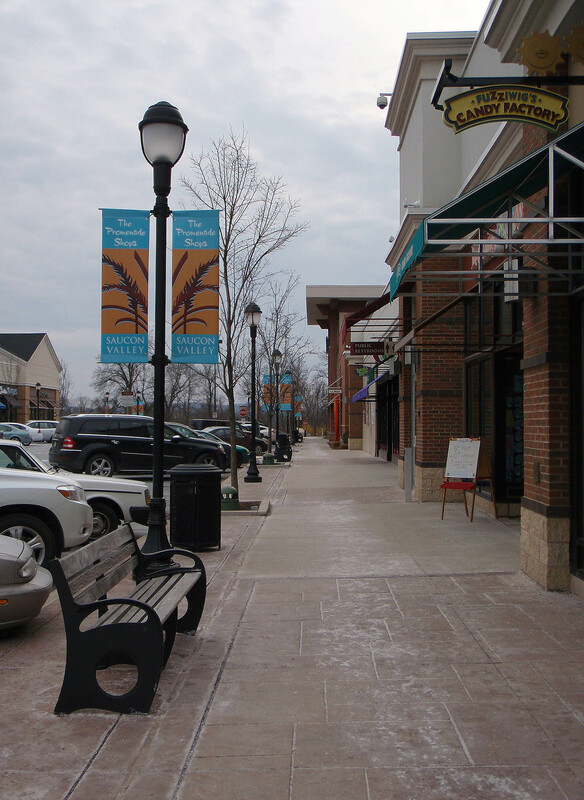 Lifestyle centers consist of separate buildings in a mall like space. They are open air. They have landscaping. Here’s a link from the populist USA Today, since, oddly enough lifestyle centers are populist places — http://www.usatoday.com/money/industries/retail/2007-01-31-anti-mall-usat_x.htm. I’m a big fan of designer Mexican restaurants (neighborhood Mexican eateries too), so I decided to try Pacifico. Here is what I had, the exact description on the menu, because I thought it looked so yummy. It was yummy! I had a wonderful time. 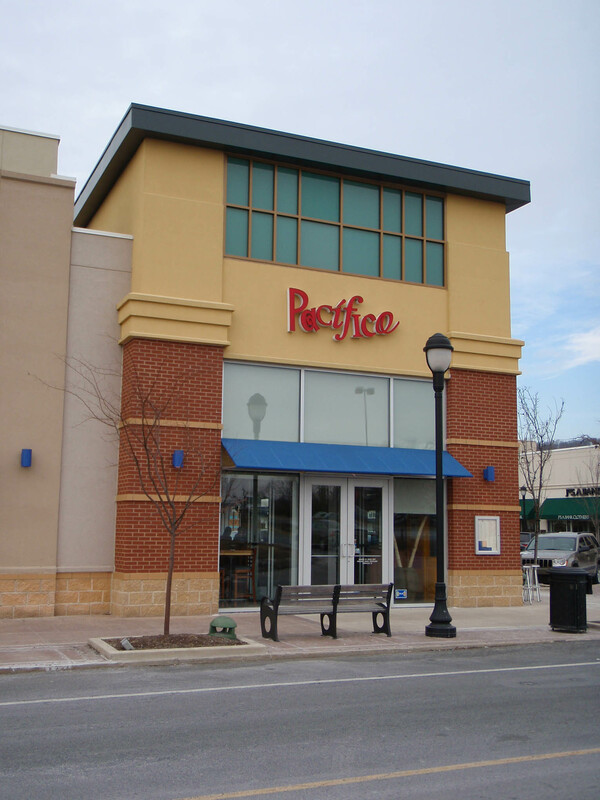 Pacifico restaurant. Spot of color on a gloomy day. February 2011. 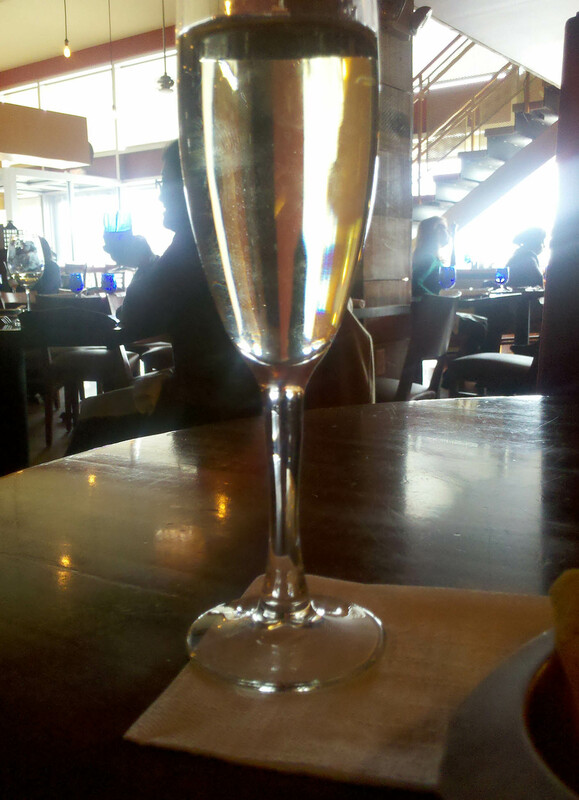 Pacifico, festive lunch. February 2011. After lunch I wandered around the shops. It was a weekday in February, before school let out, so there were only a few people walking around. I noticed several things. The place was nicely landscaped, the shops were pretty, and music was playing everywhere, not too loud, from speakers set unobtrusively on the ground. The music was angst ridden poplar music, young rock musicians singly sadly and tunefully about relationships gone wrong. If you think about it, although the music was melodic, is this the kind of music you’d play to encourage shopping? Even L.L. 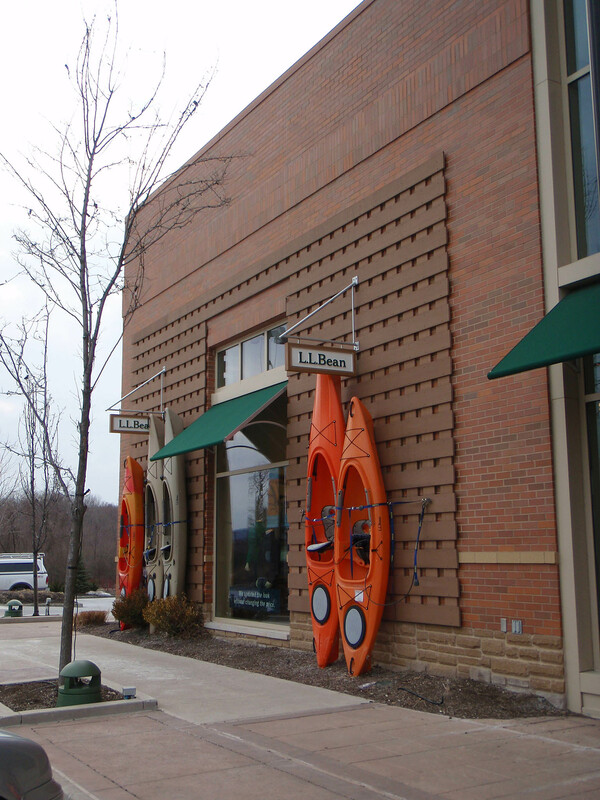 Bean, a store that specializes in clothing and equipment for outdoor adventures, had their own version of pensive music playing in their store. I guess we can be pensive as we hit the trail. A view of the shops. February 2011. L.L. Bean store. Colorful kayaks. February 2011. 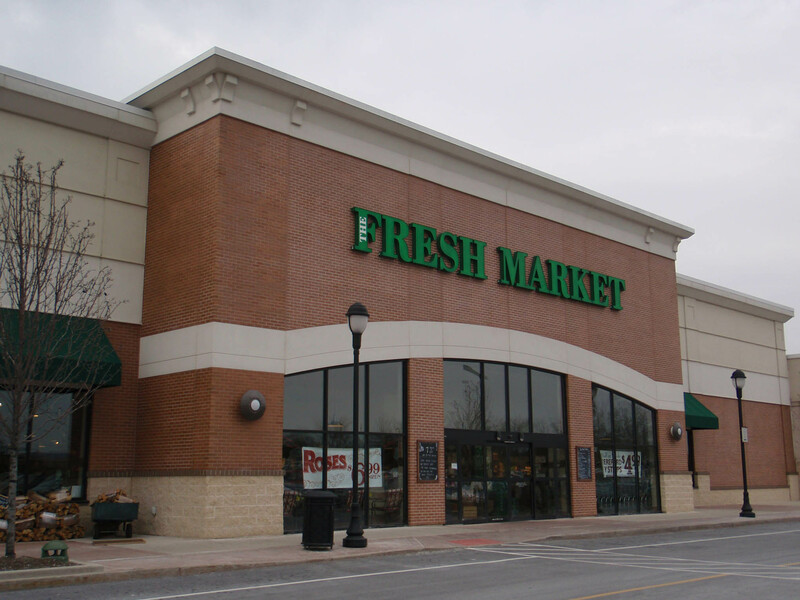 The upscale grocery store (think Whole Foods, or Wegmans if you are in the northeast US) had classical music playing. Perhaps you don’t buy food if you are listening to angst ridden songs about relationships. The upscale grocery store. You have to go inside to see how fancy it is! February 2011. I rarely buy things in stores, except for food. I buy online. When I do buy in stores, I find it interesting to buy something and take it home the same day – so immediately gratifying, a fun treat! I have mixed feelings about the commercialism of these kinds of places. I’m not an urban center purist, nor am I a fan of big cities. I like convenient parking, well lit safe places, decent signage, cafes and landscaping. I’m not moral about not spending money, about denying myself. I’m reasonably materialist. But, the sameness, that music, and the fact that it’s all about commerce – that sort of thing can wear you down, if you walk by yourself and take the time to really experience the place. Maybe it can make you pensive, after all. 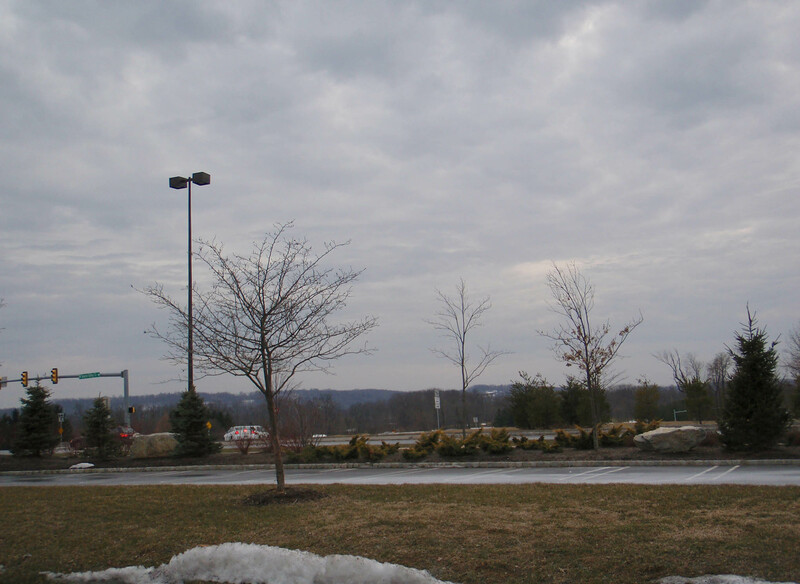 The landscape surrounding the shopping center, on a cloudy late winter day, February 2011. Ah, the pensive. This entry was posted in Pennsylvania, Popular Culture and tagged Pennsylvania, Popular Culture by amarez. Bookmark the permalink.